[…] a 20-minute, high-intensity storm resulted in some 25mm of rain falling at the Site. The resultant surge of stormwater caused the liner in the plant run-off tank to rupture, releasing up to 500 cubic metres of material to the bunded areas of the site. Up to 0.05 cubic metres (50 litres) may have overtopped one of the containment bunds due to the nature of the rainfall event at the time. Following discovery of the damaged tank, the Company immediately commenced protection and remediation procedures and the site remains secure. A sampling programme to analyse water from within the local stream system was also initiated to confirm no contamination occurred. The Company has formally advised relevant Government of Malawi authorities of the incident. I am in Karonga where following governments inspectors preliminary findings I will hold a Town Hall Meeting will [sic] the local community to brief them of the situation this afternoon. On Friday, I will be holding a press briefing communicating government’s official position on the matter, what transpired, and what action has been taken and will be taken. The Senior Chief for Karonga and community members gathered at the entrance of Kayelekera Uranium Mine following the announcement of the storm damage. This follows accusations by the Natural Resources Justice Network that the company had released toxic water into the local river system. Assertions were made against Paladin that the Kayelekera Uranium Mine is contaminating the local river system with discharged water (read more about the treatment process here). On the 5 January Paladin refuted these allegations. Paladin released an announcement “Kayelekera – Response to Misleading NGO Statements” in which the company denies claims that is has released toxic water and asserts that it will take legal action “unless these perpetrators of gross misinformation cease their dissemination of irresponsible and misleading fabrications”. 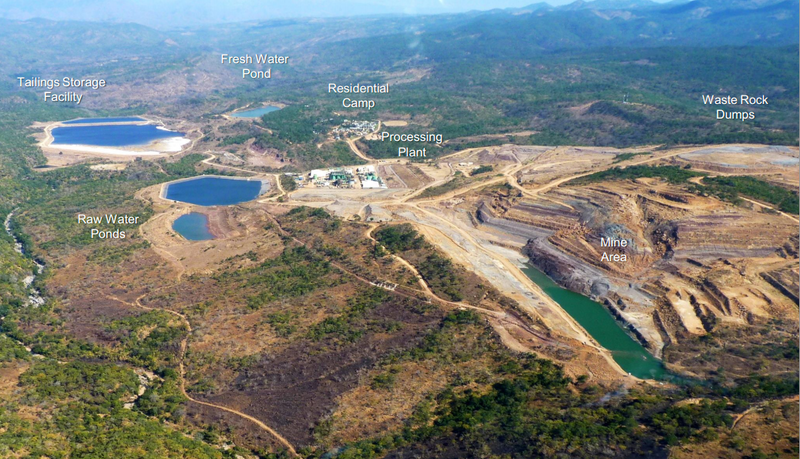 As previously announced, Paladin plans to commence the controlled release of surplus water into the local river system in early 2015 (during the monsoonal wet season) and has modified a section of the treatment plant at KM to allow treatment to meet Malawi and internationally recognised discharge standards, including the World Health Organisation (WHO) drinking water guideline for uranium content. The controlled water release is necessary to avoid any possible unplanned and uncontrolled discharge of run-off water contained in storage ponds at KM during the period of Care and Maintenance. During production operations, captured run-off water is used and recycled in processing of uranium ore. As yet, there has been relatively light and infrequent rainfall in northern Malawi, hence little or no run-off has occurred. Therefore no water has been treated and released to-date. The water filtration process to be used is proven and widely used in the water treatment industry. Paladin has conducted extensive on-site test work in recent months and has been very successful in treating water to meet the WHO drinking water guideline for uranium content. The process has been reviewed and licensed by relevant agencies of the Government of Malawi (GoM), which imposed strict conditions regulating critical water quality parameters, including uranium, consistent with international guidelines. When water treatment and release commences, Paladin will undertake constant environmental monitoring of the process, which will also be monitored and regulated by the GoM. What we know is that Paladin has one tailing pond, but it was supposed to have two ponds from the onset to contain the waste. So, discharging the waste is not a practice. Environmental-related matters must give due respect to the constitution and international best practices. We demand that the Karonga District Council Health and Environmental Services Committee and us CSO players should go and verify independently the waste management system and other related issues. Kayelekera is not a no-go zone. The sins of Paladin should not be transferred to Malawians Living in Karonga. This is about the future generations of Malawians.